Baltic Amber Pendant in Sterling Silver. Amber necklace, silver jewelry. Baltic Amber jewelry. Silver necklace. Perfect gift for her. 925. We are happy to present middle size pendant. 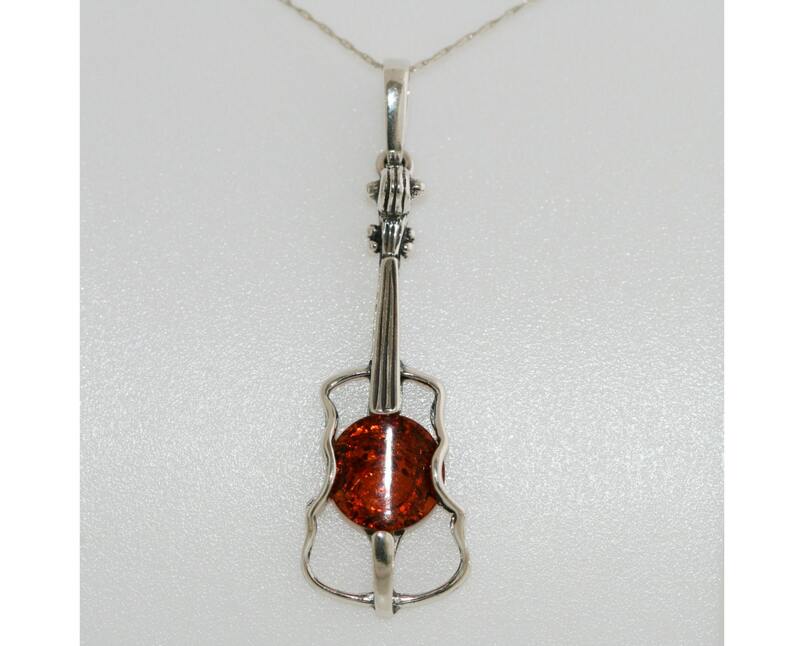 Cognac shade of amber fitted in sterling silver setting. 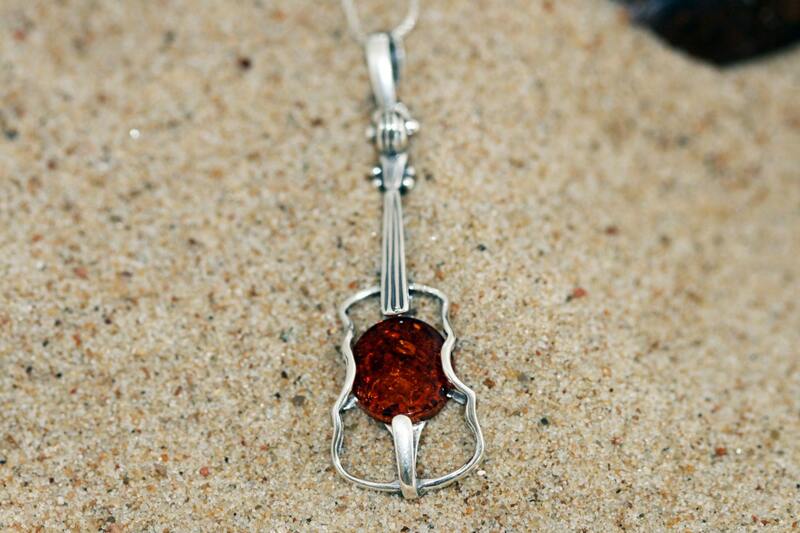 Lovely bright piece of amber in unique violin sterling silver setting. Very nice modern interesting look. Size of the design: 48 mm length, 16 mm width. Perfectly polished cognac Baltic amber set in 925 sterling silver setting. You can buy this pendant with sterling silver chain, Cardano style. Length of chain: 18 inches (45 cm). Art Gemelli is a family run silversmiths workshop of unique, handmade jewellery made of sterling silver and semiprecious stones, predominantly Malachite, Amber and Lapis. We are based in Nottingham UK, however we travel around the world using our connections to get the most unusual natural stones for our collections. 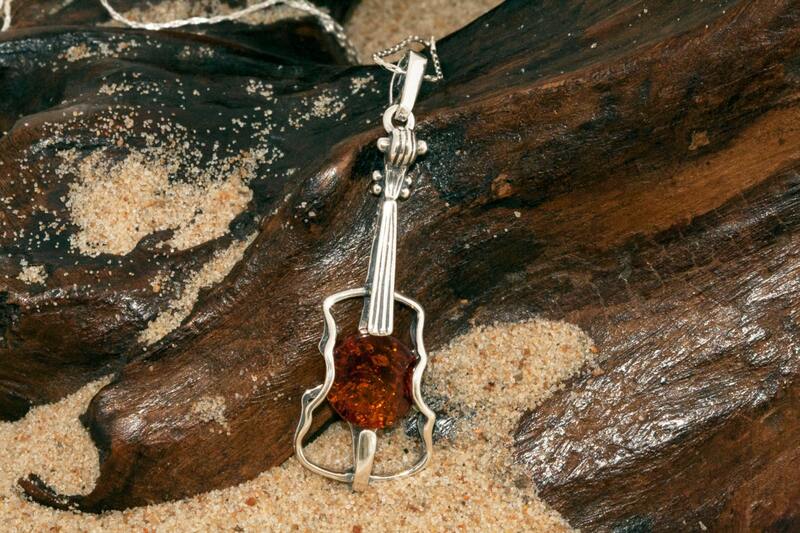 We source our amber from Baltic coast often looking for it by ourselves, after stormy days on the Baltic sandy beaches. All our jewellery is handcrafted. We polish our amber from raw beads and design silver lining. Our contemporary jewellery is recognized all over the world. We sell our work to well-known jewellery branches in countries such as Great Britain, United States, Canada or Australia. We are proud to announce, we've been selected to exhibit as a designer at this year's landmark jewellery event: International Jewellery London at London Olympia.